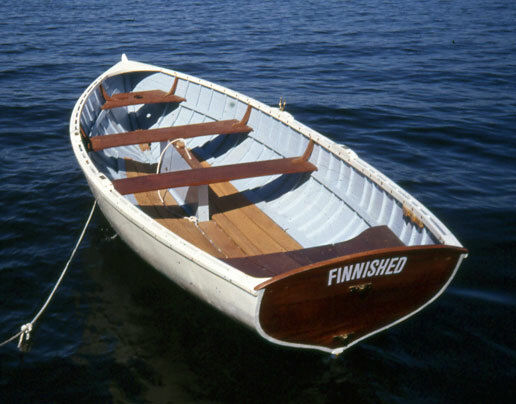 Ed Lungren writes "With a nod to my forbears and amazement at final completion, FINNISHED swam September, 2002, in Lake Gogabic's healing waters. 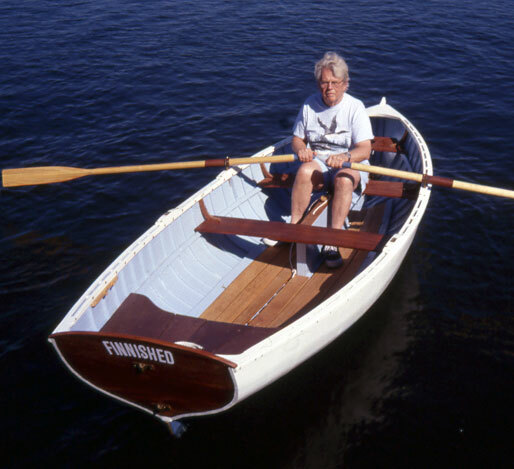 The Catspaw dinghy is carvel planked with local northern white cedar on white oak stem, keel, and frames. 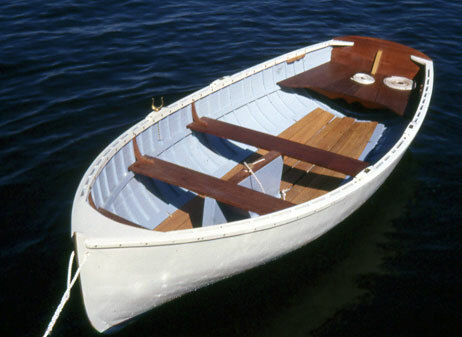 I owe it all to Greg Rossel's Fundamental's of Boatbuilding, class of 1994, who bears no responsibility for defects in workmanship."